Please join us for our Walk Don't Run Marathon today on WRLR-FM 98.3 -- The Voice of Lake County. We'll be walking and running for much of the day and hope you have a chance to either stop out and show your support or join us on the air for this very special event. Starting at 7:00 am, WRLR-FM will be broadcasting live from the 2nd Annual Big Hollow 5K Run/Walk in Ingleside, IL. Special events and award ceremonies are planned throughout the morning. Chicago radio veteran Alison Moran will be the primary host. At 11:00 am, following the Big Hollow event, WRLR-FM will be playing the Forgotten Hits "Walk ... Don't Run Marathon." For six straight hours, you'll hear some of the best oldies that haven't been heard on the radio in much too long. This is the second year for the show, which previously aired on WRCO-FM in Richland Center, WI last year, hosted by deejay Phil Nee. For those who may be out of the WRLR-FM transmitter range, the station streams online at this link HERE. And your last chance to vote for your favorites. So, once again, we're asking you to please cast your votes for your Top Three Favorites (in rank order). And then next week we'll publish the final results of Your Top 50 Favorites in conjunction with Scott Shannon's / True Oldies Channel on-air countdown. Thanks again to everyone who took the time to vote ... we had a GREAT response to a fun theme. Email your votes NOW to forgottenhits@aol.com!!! I guess the unpredictable combination of Blogger and DivShare will never cease to amaze me!!! Yesterday we posted a VERY cool version of the theme song for "Perry Mason" by Ray Coniff, sent in to us by FH Reader Paul Payton ... except the clip kept appearing and disappearing throughout the day!!! I experienced it myself first hand ... first it was there, then it was gone ... checking back to the site three or four more times during the day, I'd find it posted and playable ... only to see that it had disappeared again several hours later. In any event, here it is one more time ... in the hopes that if you happened to miss it the first time around, you'll have the chance to listen to it again today. The iconic Barry Gibb will be headed to the UK this autumn for a UK tour, performing songs from his illustrious career. Starting in Birmingham on Saturday 21st September at the LG Arena, then Manchester on 29th September and treading the boards at London’s O2 on October 3rd. Tickets go on sale this Friday 26th April from www.kililive.com. Barry has designed the tour as a salute to his brothers creating what is sure to be an emotional journey as he draws from every era of their timeless catalogue and huge international success achieved by The Bee Gees. Barry has just completed the Mythology Tour in Australia where he performed at sold out venues including the Entertainment Centre in Sydney, Brisbane and Melbourne. With a career that has spanned more than five decades, Barry Gibb stands as one of the most prolific singer, song-writer and producer’s of the modern era. The tour will feature his incredible band that includes Barry Gibb’s son, guitarist / vocalist, Stephen, Maurice’s daughter, Samantha and Beth Cohen. Check out the Bee Gees new site here. 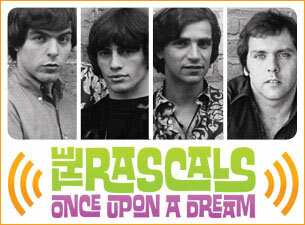 The Rascals, whose Broadway retrospective Once Upon a Dream will close on May 5, have set a series of dates around the country. The tour will recreate the Broadway show with numerous multi-media drop ins between songs telling the story of the group whose hits include Groovin', Good Lovin' and How Can I Be Sure. Dates start on May 24 in Hollywood, FL and currently run through July 6 in Homdel, NJ; however, more dates are expected to be announced in the near future. that would unassumingly go on to be known as That Little Ol’ Band From Texas soon made rock history with a string of hugely successful record releases and tour dates. Over the next 20 years, the trio went on to critical and commercial acclaim, selling millions of albums and concert tickets around the world, while earning induction into the Rock And Roll Hall Of Fame and status as one of the only bands to have been awarded an RIAA Diamond (domestic sales of 10 million or more) album. 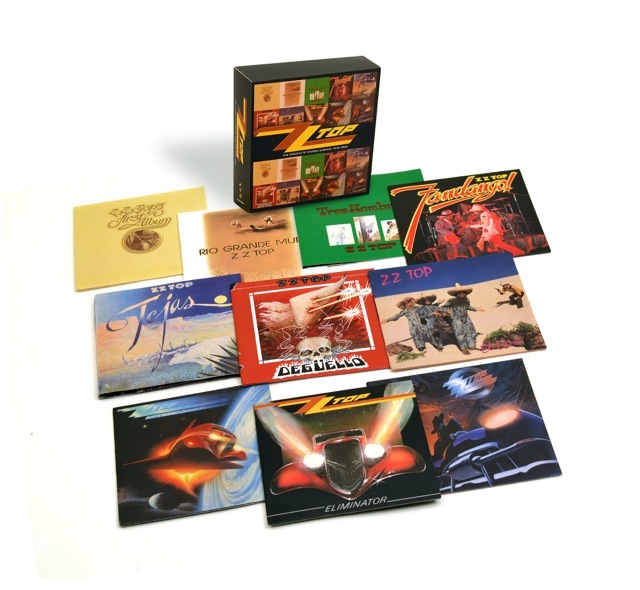 Warner Bros. Records explores the impressive scope of ZZ TOP’s musical legacy with a boxed set that includes the original mixes for the band’s first 10 albums. ZZ TOP: THE COMPLETE STUDIO ALBUMS (1970-1990) will be available on June 10 for a suggested list price of $59.99. The set, including the albums initially released on the London label as well as the string of Warner Bros. Hits that followed, includes ZZ Tops’ First Album (1971), Rio Grande Mud (1972), Tres Hombres (1973), Fandango! (1975)*, Tejas (1976), Degüello (1979), El Loco (1981), Eliminator (1983), Afterburner (1985) and Recycler (1990). Each album is presented in a wallet sleeve that faithfully reproduces the original artwork, including the gatefold designs used for Tres Hombres and Tejas. The set presents, for the first time on CD, the original mixes for ZZ Top's First Album, Rio Grande Mud and Tejas that have long been on the wish lists of the band’s most fervent fans. The collection spans 100 tracks that follow the band’s journey from the honky tonks of Texas to the stages of the world, starting with the earthy blues and electrifying boogie that defined their ’70s sound — “Just Got Paid,” “La Grange,” “Tush” and “Cheap Sunglasses.” THE COMPLETE STUDIO ALBUMS closes with the familiar synthesizers featured on the group’s biggest singles from the ’80s — “Legs” and “Sharp Dressed Man” from the Diamond-certified Eliminator, and the #1 hits “Sleeping Bag” and “Stages” from its multi-platinum follow-up Afterburner. ZZ TOP will hit the road next month for concert dates in the U.S. and Europe, starting May 2 in Newkirk, Oklahoma and ending July 7 in Linz, Austria. *At inception, Fandango! was a seamless amalgamation of both studio and live recordings; the original track line up is intact for this set. That Philly Sound is proud to announce that our newest CD, PHILLY DOO WOP, has just been released and is available to purchase through CD Baby. PHILLY DOO WOP features 24 songs, recorded between 1957 and 1966, by some of Philadelphia's finest doo wop artists and groups including The Hi Tones, Anthony & The Sophomores, Danny & The Juniors, Johnny Madara, The Premieres, Billy & The Essentials, Dale & The Cashmeres, Maureen Gray, Bobby Wells, The Hearts, The Matadors, The Four Lyrics and The Sultans. This CD is presented by songwriter/record producer, John Madara, through That Philly Sound, which is dedicated to the music that came out of Philadelphia during the 50's and 60's. Many of the songs on the CD were written and produced by John Madara and partner, Dave White. They also wrote and/or produced such timeless classics as AT THE HOP (Danny & The Juniors), ROCK AND ROLL IS HERE TO STAY (DANNY & The Juniors, written by Dave White and produced by John Madara), THE FLY (Chubby Checker), YOU DON'T OWN ME (Leslie Gore, written by Madara & White and produced by Quincy Jones), and 123 (Len Barry, who also co-wrote the song with Madara & White). These and countless other hit records by Madara & White helped to make up "The Sound of Philadelphia." Order now! Only $15.95 Buy One Today!! Click here to purchase and learn more about "Philly Doo Wop." Please go THAT PHILLY SOUND to purchase other rare Philly CDs, and learn more about the artists and people behind the scenes. Like us on FACEBOOK for up-to-the-minute news and interesting information that we would love to share with you. >>>For all you WLS radio fans, here's a fantastic little clip from August 20, 1965 ... Comiskey Park, where WLS presented the Beatles! If you watch closely, you'll see the fabs come across 3rd base to the stage and John stops to say hi or whatever to someone and then is greeted by possibly a WLS jock (or more likely Mal Evans of the Beatles' crew?) at the bottom of the stairs. At the top of the stairs, I am about 100% sure it is my idol Ron Riley shaking hands with Ringo and jumping about, then shaking hands with George and Paul ... and by that time the others are leaving the stage. Behind Ron is Art Roberts who TRIES to get a hand shake in too, and Clark Weber. Maybe Clark Weber can give us insight into the others?? I have included the WLS legend in this mailing. Clark, any ideas?? If you have not read Clark's book, he has a nice still photo in it of the concert with the 'LS guys in it. Anyway here's the clip and it is WAY cool for me!! If my memory is correct (and half the time it isn’t!) weren’t there two Beatle concerts at Comiskey Park that day? Dex, Bernie and I mc’d the first one while you, Art and Don did the second one? If that’s true, then its you three in this clip. Thanks a lot for forwarding the youtube clip - it's the first I've seen of that concert. Yes, I'm sure that Art, Don, and I did that one - it was in the afternoon as we had to go back and work that night - and that is me shaking hands as they ran up the steps to the stage - although it's a long TV shot - I recall that I wore a "sky blue" suit that day because Ringo mentioned "cool suit" as he rushed by - my moment of glory. Ha Ha! I've tried to remember the events of the day but clearest to me is the presser - and the roar of the "fans in the stands" throughout the show still reverberates in my ears when I recall that day. I just don't remember if we also did another of their shows - all of us together - during their next concert tour? There was so much going on in those days - we were pretty fortunate guys to have lived it! In Sunday's comments, you said that singer George Jones didn't have much of a pop chart / cross over career. However here in OKC, the opposite was somewhat true. His 1959 recording of WHITE LIGHTNING peaked at #19 in March of 1959 on the local top 40 radio weekly survey. It was played for several weeks. Also, his 1964 - 1965 recording of THE RACE IS ON peaked at #4 in December of 1964. His later recordings on Musicor also did quite well here in OKC. Speaking of THE RACE IS ON, as you know, singer Jack (no relation) Jones had a version as well. Also during this time period, country artist Buck Owens' records were getting a lot of airplay on our top 40 radio station. I was just reading the new John Records Landecker book "Records Truly Is My Middle Name." In it, he talks about his earliest days of radio, working at stations like WOIA in Ann Arbor, Michigan, before moving up to WTRX Flint, WERX Wyoming, Michigan (I have some REALLY cool surveys from this station and John puts one in book with "I Wanna Meet You" on it as well as his name on one side as a DJ) and then WILS Lansing (more great surveys there) before hitting the big time at WIBG in Philly with Joey Reynolds. I am really enjoying it and found one paragraph very praise-worthy of Ron Britain! On page 67, John writes "At the time (1967 when he was at WILS in Lansing, Mi) I listened to all those great AM stations booming in from Chicago; especially WCFL. I loved that station. Not only did the personalities have a name, they had a hook that went with it." He goes on to mention Jim Stagg and Barney Pip and then ... "There was a guy named Ron Britain, who I think was the best of all of them, and he called himself the King Bee. His show was a stream of consciousness. Insanely good. I wanted something like that for my show. So, in my typically overboard fashion, in one big flash I became the John Records Landecker Radio Leviathon Program. That was the first time I ever used my middle name on the air." You can really get a feel for how he developed into a premier jock fairly quickly. I'm only 1/3 thru and have not reached WLS yet, so more good stuff to come, but I thought I'd tell you about it. In June, there will be an accompanying CD released by the book company too, taken from John's own archives going from 1966 in Michigan thru today! can't wait!! It was cool to hear that version of "The Rev. Mr. Black". I've had the Kingston Trio's version of that song for 30 years or more. I always liked the song but the title confounded me. I thought "This is stupid, it is either Reverend or Mister not both", until I was ordained deacon seven years ago . D'oh!!! Two other Alan O’Day songs are featured — one written with Artie Wayne. The film will show five times Sunday, May 5 at the Marcus Theater in Orland Park before moving on to film fests and hopefully, wider distribution. Times are Noon – 2:10 – 4:30 – 7:00 - 9:30. And yes, I made the final cut as an extra in the first scene. But see it anyways. “The Soup Nazi” from “Seinfeld” is in it. Great video of Lulu & Maurice Gibb, Thanks! Have a SUPER day! Thanx for the Groovin story. Very interesting. In case you hadn't heard about Barry Fey, I thought you should know. I met him at The Denver Folklore Center one day when he first came to Denver. He was there dropping off some tickets for a show he was promoting. I was in a popular Denver rock band The Moon Rakers then, and I was there buying a harmonica. Wow, Kent, that was about 45 years ago. That time has gone fast, and I'm grateful to still be around. I'm still playing and singing, taking Music Therapy to Alzheimer's Facilities and Senior Communities, and that keeps my Life interesting, challenging at times but a lot of fun, because my repertoire is all OLDIES ! I really enjoy reading Forgotten Hits every week Kent. Thanks. Barry Fey, who spent 30 years promoting concerts in the Denver area, including U2‘s famous 1983 Red Rocks performance, has died at the age of 73. The Boulder Journal is reporting that Fey committed suicide via an on-air report by Greg Moody, a Denver entertainment critic and friend of Fey. Fey had been recovering from a recent hip replacement surgery. Fey started in the business in 1965, promoting concerts in the Chicago area. He moved to Denver two years later to run the Family Dog concert hall, which brought psychedelic acts like Big Brother & the Holding Company and Jimi Hendrix to Denver. He then started his own company, Feyline Presents, which began booking rock concerts at the Red Rocks Amphitheatre just outside Denver. The U2 concert video, ‘Under a Blood Red Sky’ was filmed at Red Rocks, and promoted by Fey. Known throughout the music industry as a colorful character – he billed himself on his Facebook page as the “Rockfather” — Fey could be notorious in his business dealings. But he also had a generous side, giving money to anti-youth violence campaigns and helping to create the Colorado Symphony Orchestra in 1989. In 2011, Fey wrote his memoir, ‘Backstage Past,’ which features forwards by Pete Townshend and Sharon and Ozzy Osbourne, in which both recalled his personal touch. Fey’s relationship with Osbourne began in 1971, when, as Ozzy recalled, he was the first promoter to book Black Sabbath as an opening act for Mountain. Osbourne recalled that, because Sabbath outdrew Mountain, after the tour Fey gave the four members of Black Sabbath a gold watch, which Ozzy still has. Certainly a Denver music icon. The Final Round of Voting will be tomorrow ... this weekend we'll be tabulating your votes ... and then NEXT WEDNESDAY (May 8th) we'll announce the results in conjunction with Scott Shannon and The True Oldies Channel, who will be counting down The Top 20 on the air. Be sure to check the website tomorrow morning for more details. Thanx for a tho't (& song) provoking game! (Extremely charming theme for a very uneven show - Cowsills recorded it, right?) Cheers is also not one of my favorite sitcoms. I think much of its allure comes from the fact that two of its ensemble are former Second City performers George Wendt and Shelley Long, but it's also the show that gave us the gift of Woody Harrelson! However, its wonderful theme song is poignant and unabashedly sentimental, and IMO the highlight of watching ANY of the episodes. Don't know if you have this or not, but here's the original 45 of the Perry Mason theme by - of all people - Ray Conniff! I've missed the voting, but this would be my 3-way #1 choice, tied with Peter Gunn and Mr. Lucky. The soundtrack albums of those shows by Henry Mancini define, to me, the best of big band jazz of the era - strongly influenced by but more accessible than Stan Kenton. Mancini was one cool cat! Keep up the good work - I don't comment much (no time), but I am indeed paying attention! By the way, my own doo-wop group's album was finally released at the end of last year - and a re-release and promotion is upcoming (got sidetracked by now-resolved health issues): www.presenceproductions.com has the story of it and of '60s-'70s group Benefit Street. Kent, you must be having fun with this! TV THEMES - Let The Elimination Rounds Begin!! !